I’m the Owner of Access Web Design, your local source to get your Orange County business "Access" to the Web. If our website looks a little different than others– good, it’s suppose to! Although I have been part of the business community of Orange County for more than 25 years, Acess Web is not the oldest or the largest website design company. We are also not an assembly line spitting out website after website by templates that all look the same. What we will deliver though, is insightful and creative consulting designed to bring you a website experience that is personalized to your company. We will show personal care and attention to your business needs as we analyze and understand your requirements. We specialize in helping businesses here in Orange County, California - right here where our employees and their families live. Many companies on the internet try to hide where they are located, and try to be everything to everyone. Not us. 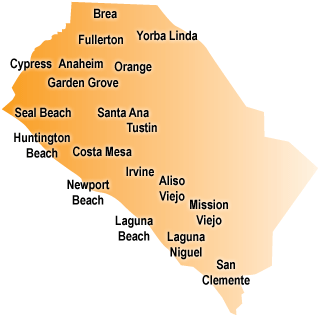 I was born, raised and have operated Access Web Design right here in Orange County since 2006. You need to know who you are dealing with and who stands behind your web prescence. Character, honesty and integrity are earned over many years of consistent, honest dealings with clients. With something as important as your business, you need to know who you are dealing with. For an immediate consultation, call us now so we can get started building your online office, your access to the web.